If you don't own a denim shirt, you really need to. It's one of those classic pieces that you'll have for years and it will never go out of style. This versatile shirt can be worn so many different ways...with pants or jeans, tucked into a skirt, open with a tank underneath, belted or even as a bathing suit cover-up. It will go with just about everything and it's so comfy you'll want to wear it every day. And did I mention, it's figure-flattering? Just hanging by the railroad tracks waiting for a train in white J. Crew high rise white jeans and a denim shirt (similar here and on sale!). Both my bag and sandals are in a neutral luggage color, which I love paired with blue and white. Wedges make walking on grass so much easier than heels! Similar pieces here and here. 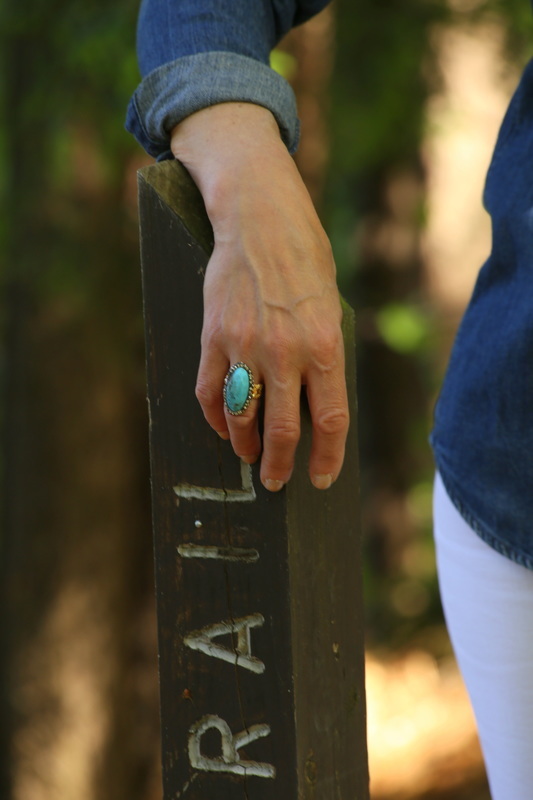 I splurged on this Alexis Bittar ring (similar here) a few years ago, but I've worn it a million times (money well spent!). I love the way it adds a pop of color to any outfit. 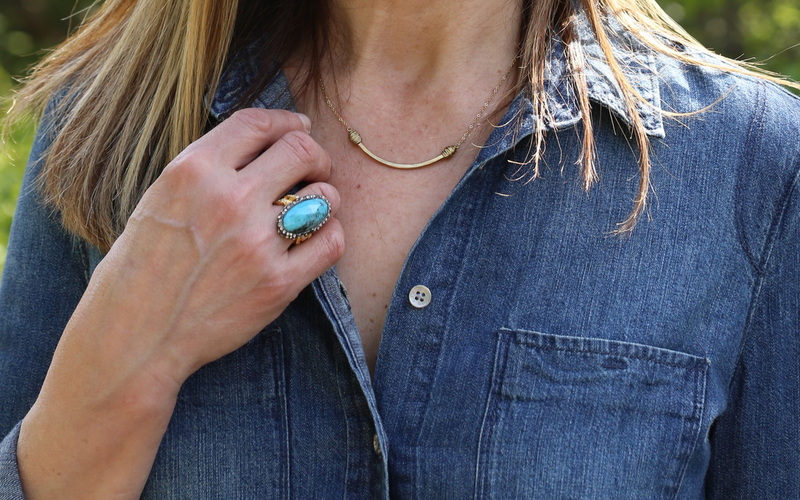 The simple bar necklace is a fun piece to wear on its own or layer with longer necklaces. Summer is finally here, yippee! Photography by the very talented Cathleen Trainor. Need help with your wardrobe? I'd love to work with you! Don't forget to sign up to receive email notifications of my latest blogs!